This tiger cub is 5" long and 3" tall, solid and very heavy for its size. The stripes appear to be made by cutting into the clay. 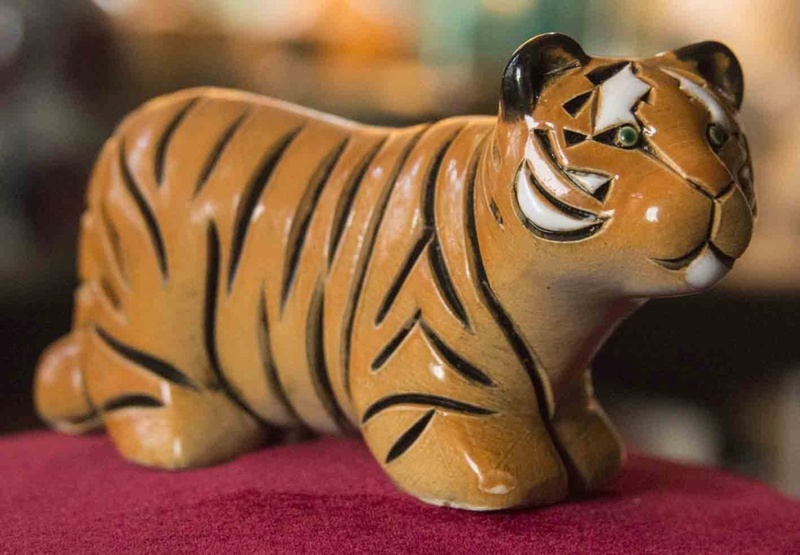 There are a myriad tiger figurines on the internet and I can see a Del Rosa similarity, but I have been unable to identify the makers mark. Does anyone recognise this figurine/maker? Brilliant! Well spotted Naomi...my thanks.